wind goes through pine trees, so that were also named Pine Crickets. were named Bell Crickets, or was frequently confused. and rubbed quickly to chirp beautifully. Since in ancient times, the chirrup has been an object of pleasure. 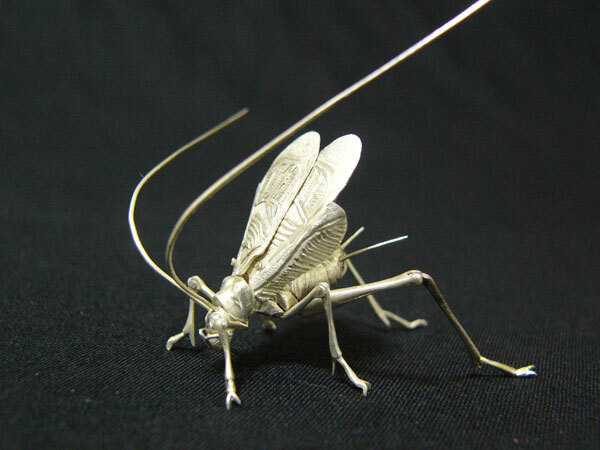 Crickets in cages, and the artificial breeding started from Edo period. Bell Crickets could be seen in the whole country. is equivalent to orchestral music. This is the reason why people love Bell crickets' chirrup. third-years student at the university. both sides, to reproduce a real Bell Cricket.